For the gamers who like intense battles and surviving at all costs, tower defense games are amazing. However, tower defense games are sometimes without ending, meaning that your mission is only to survive as long as you can and getting a high score. Sure, why not, that’s also cool. But, some games have a story, setting, and characters that you’ll love and that’s welcome in such games. With that in mind, let’s check our list of 20 best tower defense games for PC. Our comprehensive list is below. 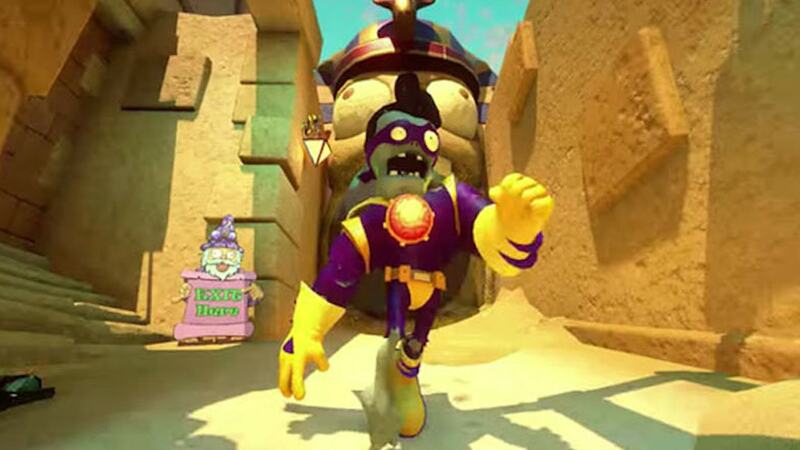 When it comes to tower defense, I think that there’s no more authentic and fun game than Plants vs. Zombies: Garden Warfare. This game was released in 2014 and it’s available for Windows, Xbox and PlayStation platforms, meaning that you can enjoy it however you want. As the game’s name says, it’s all about a fierce battle between plants and zombies. The player can choose either of them and engage in cooperative or competitive multiplayer sessions. The best thing here is that it’s played from a third-person perspective, so it’s not a pixelated-graphics game. Visit their site here. They are Billions is a great post-apocalyptic game set on a devastated planet. Do you know why the game is called like that? I don’t want to scare you, but it’s about enemies! The goal of this game is to build your colonies, defend them against billions of enemies and survive in the harsh, dangerous and unforgiving environment. The human race needs to survive and you are our last hope! So, are you ready to experience the tower defense like it’s meant to be? Test your skills and visit the game’s website here. Orcs Must Die! 2 speaks a story of its own. I’ve never seen a game this great. It’s a strategy game that combines third-person action and tower defense elements, resulting in a game that will stay in your mind for long period of time. Essentially, the point of the game is to kill orcs, but don’t just expect them to stay there and wait for your strike. In fact, you’ll need to set traps and use deadly weapons at your disposal to defend 24 fortresses from those malevolent creations. If you like a great singleplayer game, then get this game ASAP! Dungeon Defenders is a beautiful, cartoonish-style game that offers a lot to the players. Aside from a singleplayer component, Dungeon Defenders is an awesome online game, and as such, its multiplayer is unmatchable. You can choose from various classes and then create a hero in a particular class. When you create a hero, you can engage in co-op tower defense battles and defend your place against the unforgiving odds. The great addition here is the Portal Gun, which is Steam exclusive. Speaking of the dungeons, here’s another dungeon-based game for you, boys and girls. Dungeon of the Endless was published by SEGA and it’s a rogue-like dungeon defense game which requires a lot of teamwork to be played and beaten. The game is set in the space, and the player must protect the generator of their crashed ship, but also explore the expanding dungeon in order to seek for supplies and kill the threatening enemies. You’ll face hordes of monsters and other enemies, which creates a feeling of dread and fighting for your own life. You know what? Here is Dungeon of the Endless website, so check it out. Did you know that you can have an amazing FPS game that’s all about that tower defense? Well, you can see it for yourself if you don’t believe me. If you do, however, you should know that the game is fun as hell, and it offers a singleplayer mode, as well as a multiplayer and co-op modes that work awesome. There are four character classes which you can choose from and when you choose one of them, you’ll start to defend the oxygen-producing Cores from the waves of aliens threatening the human existence. The game also has tons of DLC, to expand your fun even further. Kingdom Rush looks like a typical Facebook game that your mom or dad plays, but don’t let that fool you. In fact, Kingdom Rush is an amazing effort from Ironhide Game Studio and it’s another strategy game that puts emphasis on tower defense. Kingdom Rush leaves you with a plenty of weapons, spells, and towers to defend from orcs, evil wizards, trolls and the other filthy enemies. The game even lets you upgrade your towers and add different specializations in order to strengthen your defenses and hope that you’ll live another day. With that in mind, Kingdom Rush is one of the most-complete tower defense games, and I would gladly play it again. If you want a solid free game that’s about tower defense, you can try Age of Empires: Castle Siege and get it now. But wait, is the game really based on Age of Empires franchise? Definitely yes! It’s not only a tower defense game but a game where you’ll attack your enemies and give them a lesson about who is the boss here! First, build a castle city, use everything you have to defend it and once you gain strength to attack… well, you know what to do! Burn them to the ground and let your empire shine! Unstoppable Gorg is an amazing space tower defense game. However, there isn’t an unstoppable thing here! If you are a skilled player, this tower defense game will be a solid challenge for you as you defend the solar system from vicious aliens by sending satellites into orbit. The game looks awesome, and the space is presented relatively good. The planets are here, and overall graphics are solid for this type of game. However, Unstoppable Gorg is a singleplayer game, so you can’t call your friends to help you. Evil Defenders is a game that might scare the tower defense newbies, but it’s not all that scary. I mean, what’s wrong with the cartoonish, shiny graphics and beautiful environments? Oh, let me guess… hordes of enemies, isn’t it? If so, then give your best to defeat them. The game lets you upgrade your towers as well as develop a deep skill tree in order to gain enough strength to survive. It’s another singleplayer game, but what more do you need? If you are up for yet another tower defense game, you should check Yet Another Zombie Defense. Ok, let me just catch my breath; the game’s name is long! So, are you ready for the darkness and despair, and of course, zombies? If so, then prepare yourself for this unforgiving, immersive and blood-boiling zombie defense experience. It’s all about the length of your survival here and the game doesn’t have any particular story to it. You are either a strong, independent warrior or a non-skilled player who dies often and fails to survive. Yet Another Zombie Defense website is below, so yeah… you might wanna check that out. Role-playing games are great, especially when combined with the tower defense. And, that’s where things become ruthless and unforgiving. Bravium is a game for brave gamers and if you aren’t brave, then please leave this page! Bravium lets you customize your heroes, equip them with the powerful weapons, items and use badass magic spells in order to beat the crap out of your enemies. Try the game now, and prepare to have an unforgettable singleplayer experience. Now that’s a pretty-looking game! DG2: Defense Grid 2 is a tower defense game with jaw-dropping visuals, particle effects, and beautiful space-based environment. Unlike many tower defense games, DG2: Defense Grid 2 is much more focused on the tactics. To put it simply, it’s not another hack-and-slash game, but a game where you’ll need to carefully manage your inventory and defend the towers without many casualties. I bet you can’t win a single match in multiplayer! If I’m wrong, then visit DG2: Defense Grid 2 website and prove it. Deathtrap is one of those epic games that you either love or hate. It’s, of course, a tower defense game with RPG elements and lots of action. Deathtrap isn’t going to let you breathe that easily, as you need to eradicate the hordes of enemies and prove that you are an almighty warrior. Everything in this game is against you and it’s literally made to kill you if you are weak. So, gather your strength and push towards the enemies. Let your tower defense skills shine. Many of you will hate on Iron Grip: Warlord’s graphics, but that’s not the point here. The point is, however, that the game is a bloody amazing piece of effort from ISOTX. It’s a war game that’s both an FPS game and a tower defense juggernaut. You can play this game alone and have a time of your life, using various weapons to defend yourself. Or perhaps, you can try a co-op mode for an even better experience. If you get me, then the game’s website is below, so feel free to visit it. Gratuitous Space Battles is its own type of game. I mean, there are vicious space battles and nothing more. However, Gratuitous Space Battles isn’t a boring game by any means, as it looks great and lets you wage war in the space, between the two opposing space fleets. With the 4 player races, 120 spaceship modules and 40 ship hulls, Gratuitous Space Battles leaves you with tons of options for customization. Expect to come out as a winner in the battle! You might think that only the crazy people chase shadows, but that’s where you’re wrong! Actually, you might be crazy if you think you can beat this game easily. GemCraft: Chasing Shadows is a fantasy game which is about collecting the almighty gems with a huge magical potency and harness their power against the never-ending hordes of monsters. Sounds simple, huh? See you on the battlefield. Defending a tower is for the weak men, right? Oh, yes! Defenders of the Fallen Island is about defending a whole island and it’s a great third-person and first-person shooter game. Actually, you aren’t going to be using infantry troops, but tanks to your advantage. As this is a great tank game, expect some intense and heart-pounding battles as you kill the dangerous monsters and protect what’s yours. Fieldrunners was an amazing game. In fact, it still is. And now, we have Fieldrunners 2. Isn’t that wonderful? If you know what I’m talking about, you can recognize a good game. If not, this is a tower defense game which gives you a very important task, and that’s saving the world! The cartoonish graphics are cute here, and the enemies are overwhelming, leaving you with the only possibility, and that’s fighting to the death. You must play this game if you are a fan of tower defense; it’s a pure classic. MarZ Rising is the last game on our list, but it surely isn’t bad. The game is set in space and it’s about defending your base from the hordes of enemies on the Mars. Aside from that, you’ll be exploring the in-game world, build and manage your martian base and guide your crew away from the danger. MarZ Rising looks phenomenal and it’s still an early-access game, meaning that improvements are prone to happen.